Why This Millennial Left A Corporate Career To Become A Change Agent With The United Nations – YOU CANT STOP THE SHOW!! Globally, 163 million women have started a business since 2014. While this figure highlights how women-owned businesses have grown significantly across the world, women’s participation in entrepreneurship is still lower than men’s in almost all societies. Numerous cultural and political factors hinder the development of budding women entrepreneurs and prevent them from accessing the resources needed to launch or sustain their business. Ward’s focus was not always on entrepreneurship and global impact. Like many new graduates, she followed the path that seemed to be laid out for her and found a 9-5 career. Working hard to climb the ranks at work, she believed that her diligence would pay off with a raise at year-end. In alignment with more than 60 percent of workers polled who said they did not get an increase in their pay, Ward discovered that she would have to wait another year to be considered for a raise. She remembers, “I felt smaller than I had ever felt in my life and then that’s when I started to understand that I had the power of choice. I have the power of deciding what my self worth is.” Deciding to put trust in herself and ultimately be the one to determine her net worth, she strategized a plan to leave her job. Ward recognized that her side business was an opportunity for a purpose-driven career pivot. Believing that she had more to offer her clients than branding and developing websites, she soon realized that her purpose is to connect women. “I feel like society doesn’t give us that platform that we need to collaborate and connect with each other. So I wanted to disrupt it, especially here in Detroit,” says Ward. 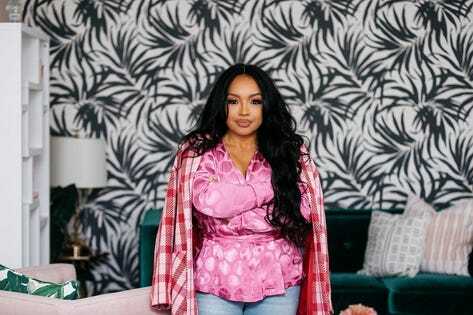 Curating spaces for diverse women to come together, she started first with small networking luncheons, the luncheons grew into conferences and then the conferences took a pivot into the co-working space that Ward founded and co-owns, Femology. “I spearhead women’s empowerment and entrepreneurship, but I think that this all dates back to defining your skill set and your expertise and then using that to find out what your purpose is,” she advises.